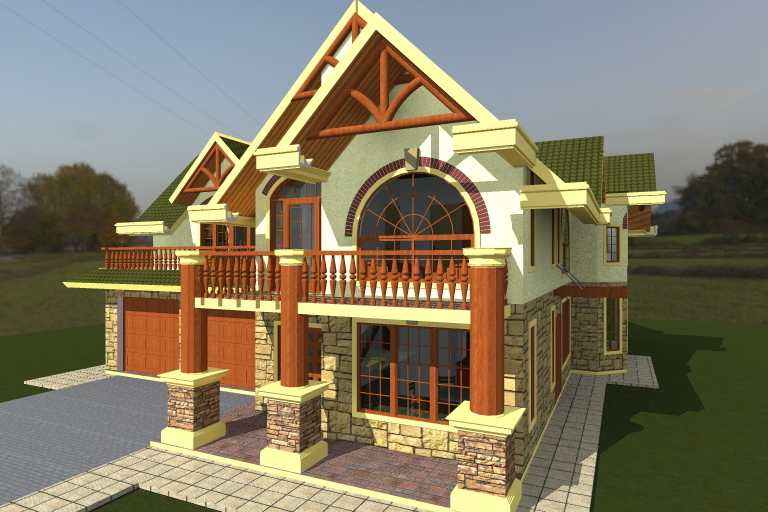 Some of the best ways that Kenyan Architects can design and supervise the building of rustic house plans in Kenya is with regards to knowing what it is exactly that you want to build. And that requires people to be well versed in the art of doing their projects to cater for their target markets. Its interesting to note that a significant part of the market that is being targeted is very well versed in matters of what they want regarding their home. They have managed to travel and see plenty of things with regards to homes and residential areas. 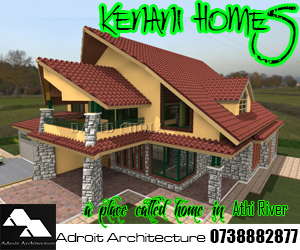 As a result, the creation of rustic house plans in Kenya is an interesting process, as it has to be totally themed to the detail. Rusticity in itself can only come out of the house being planned being created in a manner that elicits a feel of place that is cosy, yet not industrial in its feel. The whole concept of being rustic has a lot to do with nature. And aged nature at that. The earth has been around for millions of years. Mother nature has graced the planet with plenty of species of trees, vegetation and inanimate items, all of which give an interesting feel that is associated with nature. Environmental design goes a long way into seeking to incorporate the building being so designed into the surroundings and context in which it is being developed. Thus elements that God freely created in nature that are beautiful must be harnessed in the setting of the new proposed building, all in a coherent manner that will produce an element of definite place within the design. 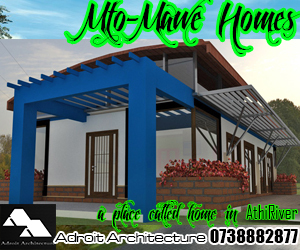 Architects in Kenya can have much of their work incorporate the elements of nature that are naturally incident to a particular site. It could be as simple as a tree within an eighth of an acre lot, or as complex as a beautiful waterfall within a wildlife conservancy. Definitely, the larger the setting, the more ornate the environment would be, and the more effort that the building designers must make to ensure their building is in compliance with the forces of nature. 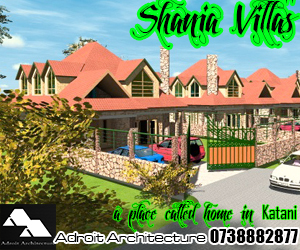 In my view, for a kenyan architect to create a rustic design, whether for a commercial entity such as a lodge or guesthouse, or for a simple recluse in the wilderness, they need to incorporate elements that draw from the beauty of the environment, and interpret those elements in a way within the building itself. This can be achieved in several ways. Some factors that Kenyan Architects can use to achieve this? One of the easiest ways to do this is through creating as much openness as possible along the envelop of the building, such that the building can interact with the external environment to the greatest possible extent. This calls for large panoramic windows, framed in natural material easily found within the vicinity of the building. Such large windows may be floor to ceiling height, or large enough to allow for as much light and views from the inside of the building to be harnessed freely. The whole idea of this is such that when one is within the house, they can freely interact with the outside visually, called bringing the outside inside. 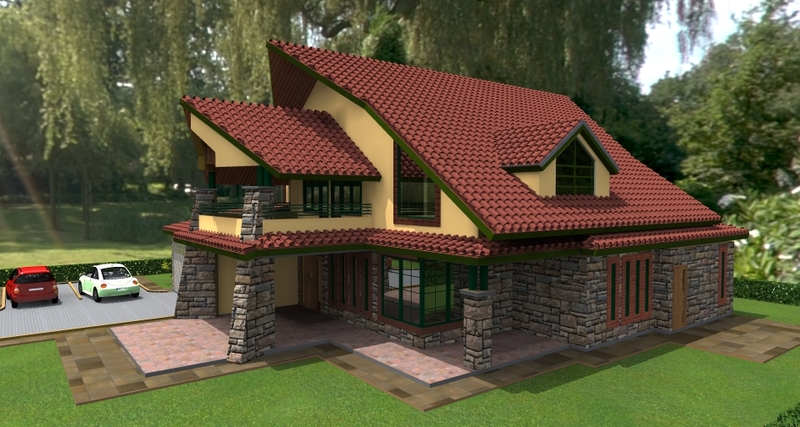 The other way with which Kenyan architects can design for their clients a rustic home is through the incorporation of aged and rustic natural elements within the design concept. When the word ‘rustic’ is used, one of the first elements that comes to mind is items that are made of natural stone finishes and elements set in a manner that is reminiscent of the way these elements are found in their natural state within the environment. For example, use of river rock in an uncoursed pattern within a residential or commercial development on a theme wall evokes images of its natural state on the banks of a flowing river. This in itself is a powerful statement of rusticity. It is the uncoursed stone feel that gives it that natural look that is such a centrepiece of rustic-ness of the design. 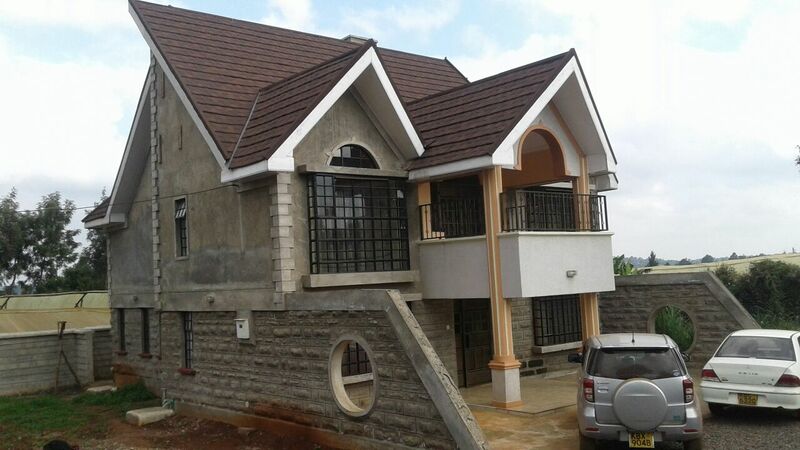 Another powerful feature that Kenyan architects can use to bring about rustic-ness of a building is extensive use of wood, especially naturally seasoned but unfinished wood. Timber is a great natural material that is wholly sustainable. The effect of using it on a rustic building structure offers strong and pleasant contrasts with hard inanimate and inorganic materials like stone. Timber brings a room to life! The trick here is in the proportions of the finishes being applied. By creating a proportionate mix of the organic and the inanimate/inorganic, a great mix of colour and texture can be achieved. 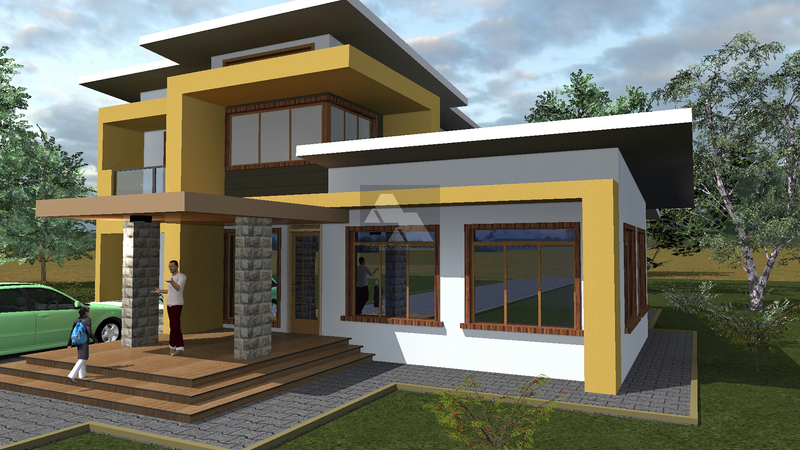 This obviously helps to bring interest to the design of a building’s interiors or exteriors. Thus, some of the walls or wall plane surfaces can easily receive a mix of timber, uncoursed stone, and formally plastered or stucco finishes to the background. The resulting design composition can be spectacular in its outlook, yet offering the warmth of a natural setting within their walls. Mix this multi textured composition with large windows with panoramic views of the surrounding environment, and you have a winner! Obviously one of the most powerful forces within a rustic designed building done by a Kenyan Architect is the incorporation of artistic elements, also called artworks. The use of simple elements such as animal carpets, trophy elements, paintings, et al will always give a final humane edge to the interiors of such a building. Incorporation of artworks that relate to a defined element of the cultural context within a building will assist to give a building its character. For example, using elements such as stone carvings, statues and paintings, not to mention special artworks, call for integration and interaction with the cultures of a people around a site. They need to be interpreted on the face of the building, as well as on the interiors. In this way, rusticity is promoted as the artworks will often create a scenic connection with the history of an environment or type of trade. Think of the kamba wood carvings gracing your entrance hall as you walk in for example. Or how appropriate a Maasai statue is on the terrace overlooking the savanna plains of your house. 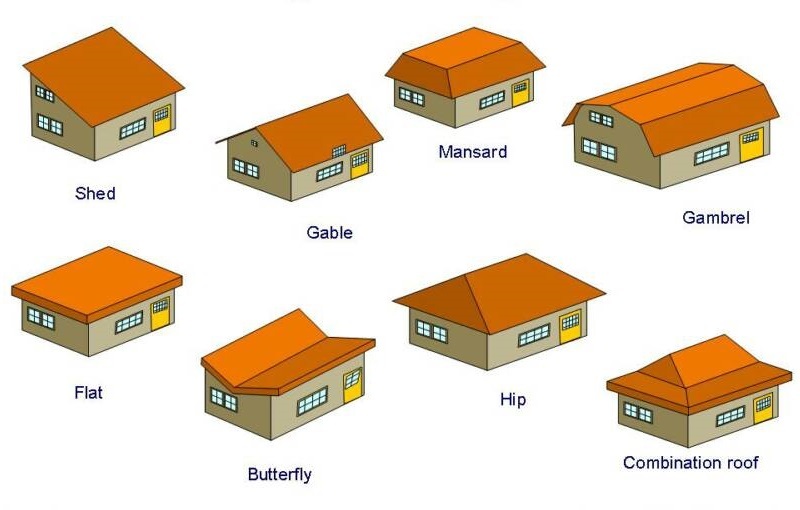 Using some of these ideas, Kenyan architects can work their design skills to create a good rustic house or commercial building.